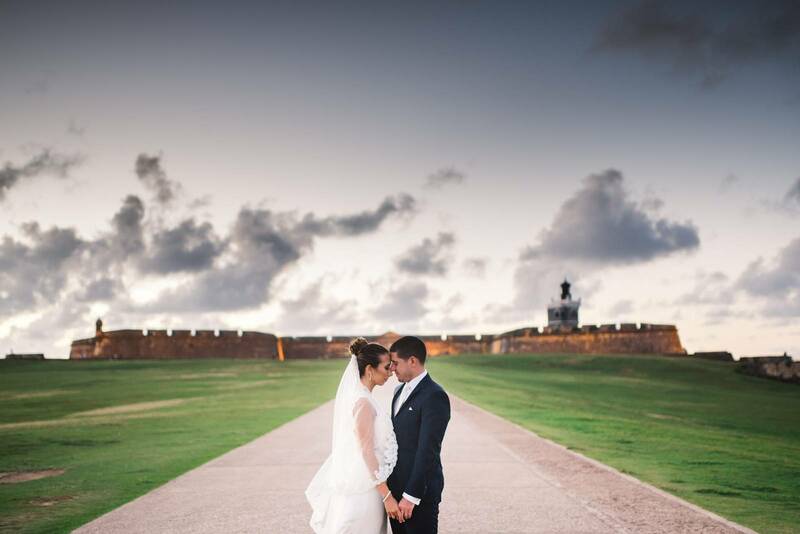 Rudy and Marta Montilla of Rudy and Marta Photography love capturing the sweet genuine moments of their couples' wedding day. 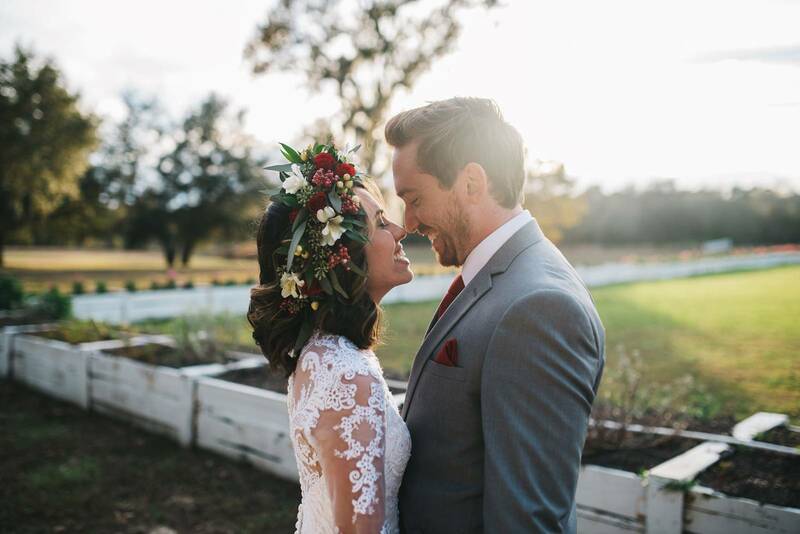 We asked them to give us a little insight into their Orlando wedding photography business. That's actually a really long story. Let's start off by saying that we both never intended on being wedding photographers when we met in college. I (Rudy) was pursuing a Marketing degree at the time and Marta was about to graduate with her degree in Computer Science and Graphic Design. We met in college, got married, and the rest was history. One winter, I went with Marta to travel to Poland to visit her parents. It was cold with plenty of snow. My brother-in-law lent him his Nikon D80 while he was in town to photograph his trip in Europe. While travelling across Europe, I photographed landscapes and moments with family and friends. At the end of the trip, Marta's Mom printed out the pictures he photographed and put them in an album. I was in awe by seeing his photographs printed. That's when the bug bit me. Two weeks after coming back to the United States, I went to BestBuy and bought the first DSLR he found. After that, we photographed anything and everything until one day someone asked us to photograph their wedding. From there we haven't looked back. What do love most about working with couples? Our biggest love is small moments. It sounds cheesy and cliché, but it's the truth. Our goal of working with couples is to make sure that they feel comfortable. It helps keep things 100% candid and genuine. We want to get images that showcase love and happiness. Finding out how to get couples to interact with each other is something that we love to do. We have conversations and play games that'll make you giggle and remember why you fell in love in the first place. It's about focusing on their individual and unique relationship. Every couple is different. Every relationship is different. Seeing how they open up and show us that precious relationship is something that we adore and respect. Witnessing that emotion and love makes it all worthwhile. We're candid, raw, and emotional wedding photographers in Orlando, across the United States, and Europe. We rarely ever pose a couple or set up a moment. We photograph the day as it unfolds and always have fun. We want to make sure that you all have the best and most comfortable experience while being photographed. It'll be like we're not even there at times. We both learned early on that photographs are just better when they show genuine emotion instead of some fake pose. We love capturing images that make you feel. We want others to feel that love and that passion that you have when they look in your wedding images. When you look back at your wedding day, we want you to remember how you felt. We have custom packages with add-ons. In the end, no couple is like the other, so why should packages be all exactly the same? We always try to customize them to meet the couples need. All packages that we create come with an online gallery where you can download and print the images however you see fit. We also have separate pricing for intimate weddings and out of country elopements. We have weddings across the United States and Puerto Rico. We spend our summers photographing couples and weddings across Europe. We're only available in the United States from late August to about late June. We'll pretty much travel anywhere to photograph a great story. If you find someone that you sincerely connect with, then book them as fast as you can. Especially, when it comes to photography. The wedding photographer will spend more time with you on the wedding day than anyone else. Make sure that your personalities blend well together. Wedding Photographers book up quickly. The last thing that you want is for someone else to take your wedding date and you to be stuck with your second or third choice.